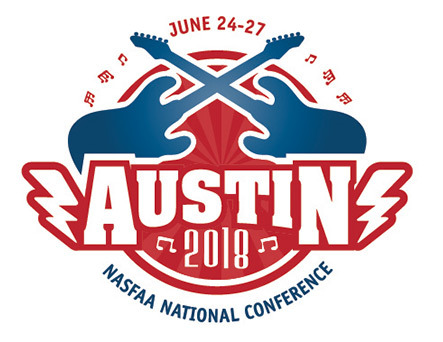 The Austin Convention Center is home to the 2018 NASFAA National Conference. Located in the heart of all the action, the convention center and conference hotels are steps from it all – dining, shopping, music venues, museums, and the visitor's center. Austintexas.org is a great place to start planning your trip with information about restaurants, nightlife, activities, and other resources. You can also visit the Visitors Guide online or view it on your iPad or iPhone. On-site, visit the Austin Convention & Visitor's Bureau information area located on level one of the convention center. They can provide restaurant assistance, maps, brochures, etc. Whether you're flying or driving into Austin, transportation options are limitless. Austin is one of the most accessible places in the nation and getting around is just as easy as having fun. A 10-story, 1000 space garage is located two blocks west of the facility at 201 East Second Street. Entrances are on Brazos and San Jacinto Streets. A 5-story, 685 space garage is located at 601 East Fifth Street, northeast of the facility at Red River and Fourth Street. Its entrance is on Fifth Street. Streets within a three block radius of the Center allow for additional 100 spaces of on-street parking. 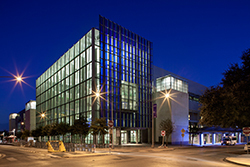 Handicapped parking is located at Trinity and Cesar Chavez Street, with direct access to the Center. Check out Austin's Insider Deals. The Austin Visitor Center can also assist with booking tours.